A global community dedicated to teaching digital skills and web literacy. We explore, tinker and create together to build a web that's open and made by everyone. If you're interested in building your own website you will have to familiarize yourself with how the web works and the tools you will need to develop for it. 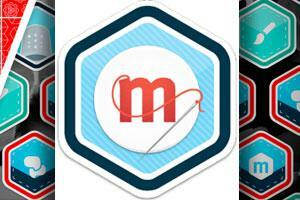 Mozzila Webmaker is a global community dedicated to teaching digital skills and web literacy. The sites emphasis is on making and using the Webmaker tools to learn web skills by focusing on getting hands-on with web design and development. Included on the site are applications to assist you in development, “Multimedia with Popcorn”, “Webpages with Thimble”, and “Remixes with X-Ray Goggles”. “X-Ray Goggles” lets you view the source of any element on a web page then change and tweak it to see what effect it would have on a real website. “Popcorn” is an HTML5 media tool that shows you how to layer videos, images, audio embeds, and other rich media on web sites. There are several community projects to get started and project levels ranging from beginner to advanced.